Spring and summer weddings are a great time to bring out the floral print dresses. 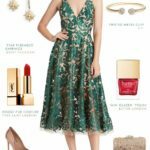 Usually a summer floral dress is associated with more casual sundress styles, but there are some beautiful formal floral dresses that are perfect for special occasions. 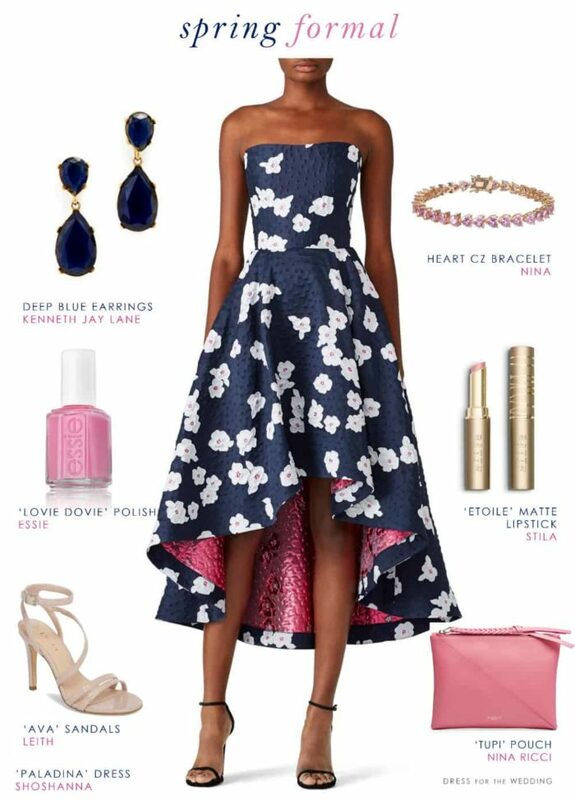 We especially like this navy blue floral dress for a wedding guest! Just because you have a formal wedding to attend, it doesn’t mean you can’t wear a blossom-filled print! 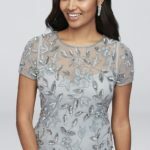 We spied this Shoshanna Paladino dress from Rent the Runway earlier this year, and thought it was a beauty for spring and summer formal events. 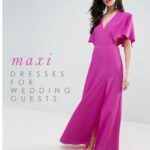 The fabric and high low hem and full skirt styling makes this dress elegant and just right for formal or even black tie weddings, but the print and pink lining also give the look a little whimsy! 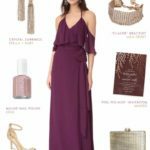 Sometimes it’s hard to find formal attire that suits the occasion and the warm season, but this dress certainly gets into the spirit of things! 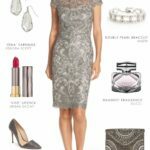 If you look on Rent the Runway you’ll see this dress gets high reviews and suits so many women well! If you wanted to buy it instead of renting, it was also for sale at Neiman Marcus, but has sold out now. 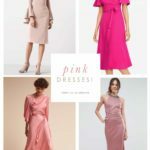 Since this midnight blue strapless dress already has that beautiful pink lining to it, pairing this with other pink accessories was a fairly obvious choice to make. 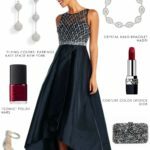 To keep it from being too cutesy, I put monochromatic navy blue statement earrings with it, and neutral heels, which balance out the pops of pink in the nail polish, lipstick, bracelet, and clutch. White pearls would also be great with the white blossoms on this dress! 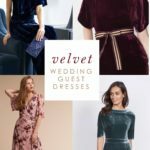 Check out more navy blue dresses, more formal wedding guest attire, see more blue wedding guest outfits, or shop for summer wedding guest dresses from some of our other posts!